Trends in the US and UK have indicated that children's consumption of more nutritious beverages such as milk has declined over the years, in favour of soft drinks – this displacement can have an important impact on health outcomes. As there is a paucity of local data in this area, a first-of-its-kind nationwide survey was recently conducted to examine the beverage consumption habits among children in Singapore. From water and milk to soft drinks and juices, beverages are a significant part of every child's diet, taking up much space in the tiny tummy. Besides providing fluids, beverages can also contribute substantial amounts of energy and/or nutrients in a child’s diet, depending on the choice of beverage, frequency of intake and amount consumed. In the survey1 mentioned above, a total of 800 respondents were randomly identified to participate in face-to-face interviews during a six week period from March to April 2009. Of the 800 respondents in the survey 400 were mothers of children aged three to six years old and 400 children were aged seven to 10 years with mothers aged 25 to 44 years (both mother and child were interviewed separately in the survey). 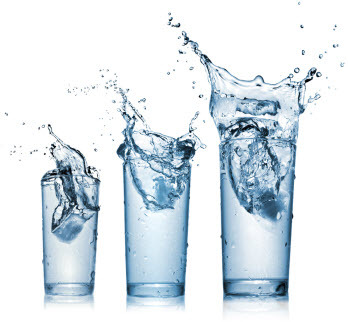 Results from this survey found that children aged three to six years drank 3.5 cups (250 ml per cup) of plain water each day, while children aged seven to 10 years had 4.1 cups per day. Other than water, milk is the most commonly consumed beverage. A greater proportion of children aged three to six years (92%) drank milk compared to children seven to 10 years old (69%) on a typical day. The average volume of milk consumed also declined from 635 ml per day for a three- to six-year-old to 359 ml for a seven- to 10-year-old. A substantial proportion of children are drinking less milk than recommended by Health Promotion Board (HPB) i.e. 500 ml per day (64% of children seven to 10 years old; 32% of children aged three to six years old). Older children aged seven to 10 years old were found to have a higher consumption of malted drinks, sweetened drinks and soft drinks compared to children aged three to six years old. The decrease in milk consumption with age was found to be correlated with a decrease in mean calcium intake from beverages. Mean calcium intake on a typical weekday showed a downward trend with age, from 1032 mg (children three to six years old) to 733 mg (children seven to 10 years old). Compared to the Recommended Dietary Allowances (RDA) for calcium, 61% of children 7 to 10 years old seemed to have insufficient calcium intake* on a typical weekday. The same trend was reflected in 26% of children aged three to six years old. Calcium needs increase as a child grows older, as evident from the RDA. Parents need to be aware of this potential nutrient gap and continue to provide milk and other calcium-rich foods such as fish with edible bones, soybean curd, dark green leafy vegetables and other calcium-fortified foods as part of a well balanced diet. This survey also revealed that mothers wield the greatest influence over their children’s beverage choice. Although most of the mothers in the survey (especially of children three to six years old) encouraged their children to drink milk, 32% underestimated the amount of milk their child requires each day, highlighting the importance of the education of parents on child nutrition. Further studies are necessary to provide a more complete picture of the overall dietary practices and nutritional status of children in Singapore. Meanwhile, in view of the survey findings, healthcare professionals should proactively guide parents to provide a well-balanced diet that includes milk and other nutrient-dense beverages to meet the nutrient goals of their children. Every visit of a child to the physician’s office offers a platform to provide nutrition advice proactively, especially to the accompanying mother. Make it a point to ask every parent about the child’s diet to understand the regular dietary pattern. Remember to also ask about beverage choices. Goh DY, Jacob A. Children's consumption of beverages in Singapore: Knowledge, attitudes and practice. J Paediatric Child Health. 2011;47:465-472. Health Promotion Board. Dietary Guidelines for Children and Adolescents for the Healthcare Professional. Singapore: Health Promotion Board; 2007.